While tidepooling near San Francisco, I came across a number of these cool creatures. 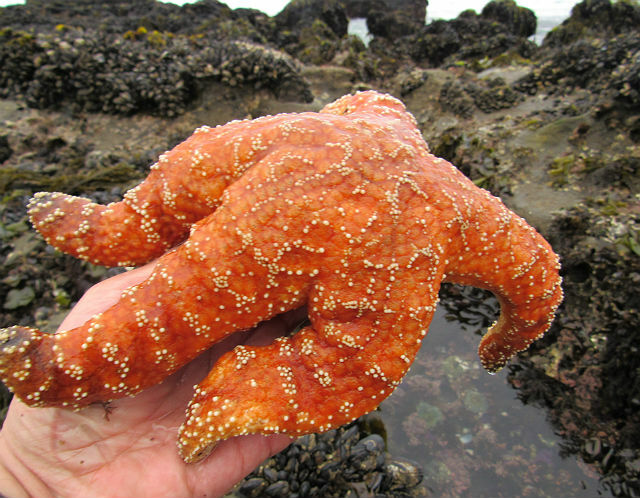 They are relatively large sea stars, with five arms and a rough texture. Their short spines on the upper surface are arranged in wavy patterns. Most of them are either orange (ochre) or purple, and there is no explanation as to why they come in two dramatically different colors. The bottoms of each of its five stout arms are covered with thousands of tiny tube feet tipped with suction cups. Ochre Sea Stars are classic intertidal animals. 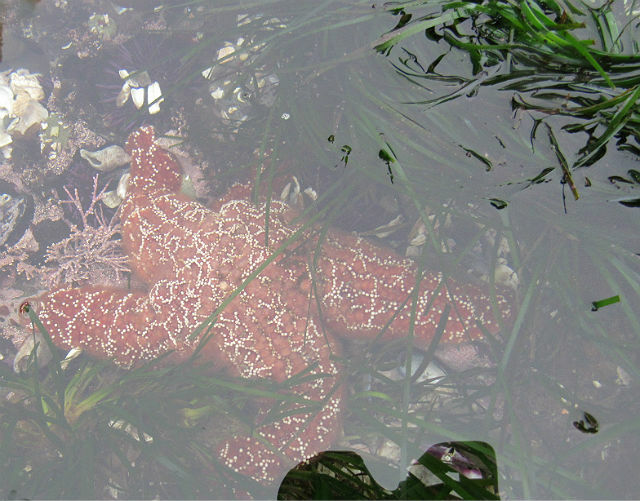 They have been called a “keystone species,” as their presence or absence significantly affects the entire community in the intertidal zone. One of this animal’s favorite foods is mussels. Although slow-moving, it does wander about, searching for prey. When it finds a mussel, it wraps a its arms around it and is able to pull the mussel’s shell slightly apart. 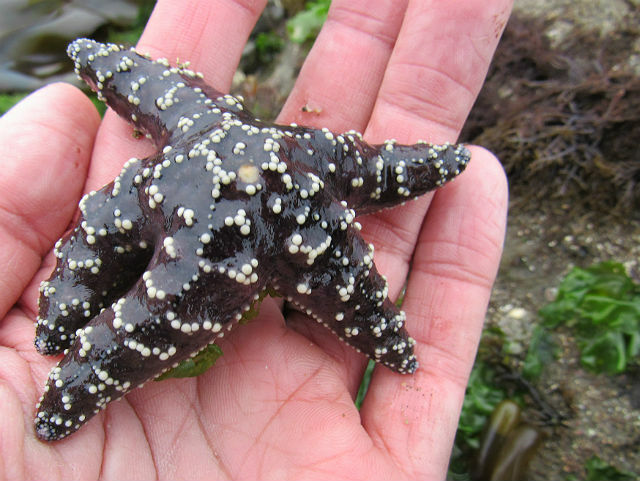 To eat, sea stars extrude their stomach out through their mouth. They then lay their stomach on the soft tissue of their prey. 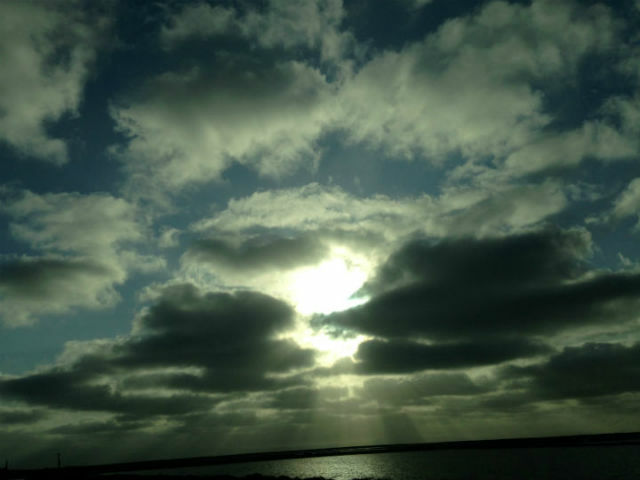 Digestive juices from the stomach dissolve tissue and the stomach absorbs the dissolved material. 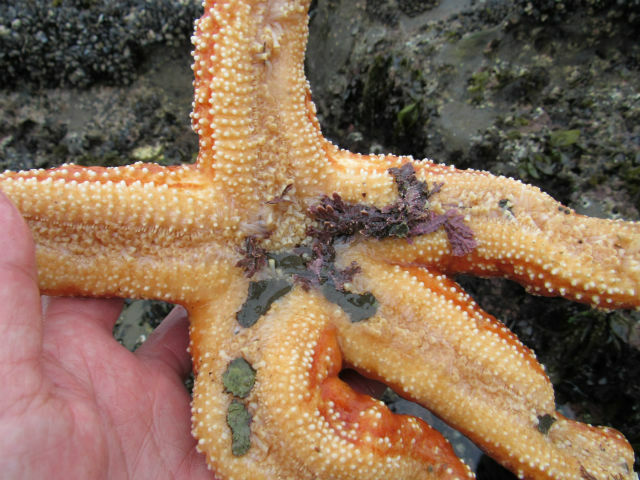 Also commonly known as the Pacific Sea Star, it can regrow a lost arm, though it may take a year to do so. It was a great experience to encounter these impressive, colorful tidepool residents. 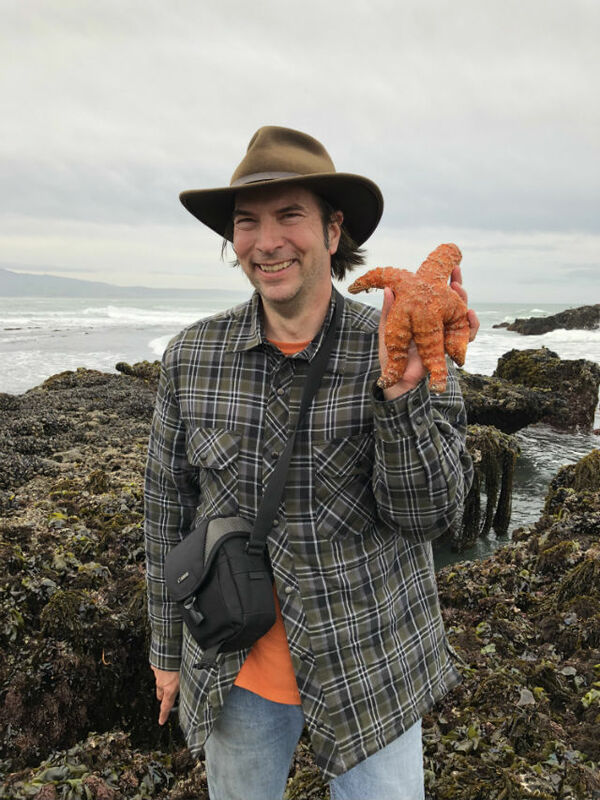 This entry was posted in Echinoderms and tagged Ochre Sea Star by tspuckler. Bookmark the permalink.